“As we know, there are known knowns. There are things we know we know. We also know there are known unknowns. That is to say we know there are some things we do not know. But there are also unknown unknowns, the ones we don’t know we don’t know”. This pithy quote uttered by American strategist and former Secretary of Defence Donald Rumsfeld, perhaps best captures the essence of Professor Christropher Snedden’s ouvre, Understanding Kashmir and Kashmiris. Admittedly counter-intuitive and maybe even a counterfactual given the title of the book, what Rumsfeld said rather philosophically may be apt in so far as Snedden’s brilliant and incisive tome about Kashmir is concerned. Snedden dissects Kashmir and the conflict in and over it by peering into the mists of history, weaving together a masterful narrative and analysis. His writing has both the insightful assessment of an academic who knows what he’s talking about and an engaging style that makes the reader want to know more. His account is perhaps the most incisive and insightful one to be written on Kashmir since Joseph Corbell’s, Danger in Kashmir. While Corbell alerted us to the danger that was brewing in Kashmir, Snedden, through his masterful dissection of Kashmir’s past, the recent past and the present takes us into the future and ties the future of Kashmir to fluid nature of history and the historical process. It is here that Rumsfeld’s quote becomes relevant. In this sense, however, and if uncertainty is the beginning of wisdom, Snedden’s account does make us wiser. 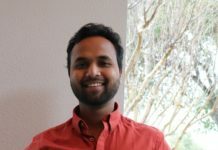 But, if we want to know and understand the nature of the resolution of the dispute over Kashmir with a definitive time span, then, alas, we are not made any wiser by the good professor’s work. I have begun writing the review of Snedden’s book in reverse or I have started from the end. This is deliberate. The aim is not to foreclose reading the brilliant book but to illustrate and highlight the tragedy that is Kashmir and Kashmiris: a region and a people caught in the vortex of a “frozen conflict” that is not of their making and whose future is an “unknown unknown”. This is what I understand Snedden is telling us. The good professor begins with terminological clarity and describes Kashmir and Kashmiris for us. Describing Kashmir as a “geopolitical entity” that predates that fateful year of 1846 when the princely state of Jammu and Kashmir was constructed, Snedden takes us on an intellectual tour of Kashmir’s history and the people of the state. He then defines “Kashmiris”: a people who according to the professor are “residents” who populate the Kashmir Vale region; a people who, thousands of years ago were Buddhists or Hindus but are now predominantly Muslim. It was Emperor Akbar who ended Kashmir’s status as an independent kingdom by capturing Kashmir and incorporating it into the Mughal Empire. This was done by stealth by exploiting the Sunni-Shi’ite faultline and sectarianism that defined Kashmir then. Thereafter, owing to the vicissitudes or advances of various kingdoms and the rivalry between these, Kashmir came under the rule of the Afghans and the Sikhs who were notable for the ruthlessness and exploitation of Kashmir and Kashmiris. However, it was the fateful and watershed year of 1846 which determined or, in the words of Snedden, sealed the fate of Kashmir and its people. It was in year 1846 that the infamous Treaty of Amritsar was signed and which created the “princely” state of Jammu and Kashmir. This constituted the direct aftermath of the First Anglo Sikh War where the formidable Sikhs were defeated by the British. Kashmir was sold to Raja Ghulab Singh who rose from a “factotum of sorts” in the Sikh Empire to become one of its leading lights only to betray his benefactors, for he was complicit in defeating the Sikhs. The British, initially under the aegis of the East India Company and then as an Imperial Power never ruled Kashmir directly. Snedden relates this decision of the British to a fundamental insecurity or paranoia which developed under the shadow of the “Great Game”- the imperial rivalry between the then Great powers or Imperiums (Tsarist Russia being the most significant one). It was for strategic reasons that the British helped Gulab Singh and his successor(s) consolidate and maintain their reign over the now “princely” state of Jammu and Kashmir. According to Snedden, the British sold Kashmir also for a prosaic reason: the need for money that had been spent on the wars with the Sikhs. Amidst all this, the Anglo-Russian rivalry and its manifestations hovered in the background. While the Dogras, as the Jammu princes were called, consolidated their rule with the help of the British — whose concerns were mostly strategic — their rule over the more distant parts of the state, such as Gilgit, Hunza and Ladakh, was largely notional. In terms of governance and administration, the various Dogra princes misruled Kashmir, exploited it and even discriminated against its Muslim populace. This was something that the British would not countenance after the mutiny of 1857. While the Treaty of Amritsar disqualified the British from ruling Kashmir directly, they nonetheless installed a resident in Jammu and Kashmir after egregious instance of abuse and exploitation by the then Maharaja, Pratap Singh. This was followed by what Snedden calls the second major challenge to Dogra rule. Some socio-religious bodies of Kashmiris, desirous of improving the lot of Kashmiri Muslims, presented a memorandum to the British Viceroy hoping to elicit a positive response from him. The then Maharaja of the state was so thoroughly upset by this that he responded by incarcerating the leaders of the group. From this sullen mood and repressive environment emerged a young leader, Sheikh Muhammad Abdullah, who gave voice to people’s aspirations and hopes and was to play an instrumental role in post-Dogra Kashmir. In the aftermath of this challenge, the Dogra Maharaja introduced some cosmetic measures that created the illusion of participation but was essentially an eye wash. The third challenge to Dogra rule, according to Snedden was the Quit Kashmir movement wherein Sheikh Abdullah and his party, the National Conference sought to end Dogra rule. The Quit Kashmir movement led to the post partition status of Kashmir onto the Congress agenda and it strengthened Sheikh Abdullah while marginalising his Jammu-based opponents. Without the Jammu leaders, Sheikh Abdullah consolidated his hold over the politics of the state, asserts Snedden. Among other things, these developments rendered Kashmir as the “centre of gravity” of the state. Meanwhile, structural and contextual changes in world and regional politics and the diminution in the power of the British Imperium led to a condition where British withdrawal from the subcontinent was imminent. A rather difficult problem was the status of princely states which included Jammu and Kashmir – a state that was on the top tier of these princely states. It was in August 1947, that the chicken came home to roost, so to speak. While, it was relatively easy to determine the administrative composition of the state, it was difficult to determine the political aspirations of the state’s rulers and its residents, according to Snedden, given the diversity of the state and difficulties in gauging public opinion. On the fateful day of 15 August, 1947, when the doctrine of paramountcy lapsed, and princely states stood exposed to the gale of independence of the Indian subcontinent from the British, matters came to a head. However, by dint of the “logic” of partition, only those states (Muslim majority) that the British ruled directly would accede to Pakistan. And, in each princely domain, it was the ruler’s decision whether to accede to Pakistan, or India or even stay “free”. Even though the Princes were notionally free, the departing British encouraged the princes to join either India or Pakistan. It was the “wheelings and dealings” pertaining to two princely states, Junagarh and Hyderabad, that set the context and template for both India and Pakistan to what Snedden calls, “duplicity, fraud, double standards and diatribes in relation to what was to become the Kashmir dispute”. Maharaja Hari Singh’s vacillations and the conditions that obtained in Jammu and Kashmir — the rebellion in Poonch, “communal” or inter-religious violence in Jammu and the formation of Azad Kashmir — disintegrated the state and it was, according to Snedden, these incidents that essentially led to the internationalisation of the dispute. It was the people of the state, instead of outsiders, who began the dispute – an assertion that is denied by both India and Pakistan. As Hari Singh vacillated, events soon took over and soon he became irrelevant; one major event that decidedly made the Maharaja marginal was when Pukhtoon tribesmen invaded Kashmir on 22 October, 1947 – a factor that made India ascendant by giving it a predicate to land its forces in Kashmir. This was the fateful month of October 1947 (27 October, 1947). After India got the accession from Hari Singh, and with Kashmir in its hold, Maharaja Hari Singh , asserts Snedden, became superfluous to India. The Pukhtoon invasion, marching into an area outside Pakistan’s legal, jurisdictional and actual control, and crossing the international border, internationalised the issue of Jammu and Kashmir’s status and gave birth to the Kashmir dispute. The Pakhtoon invasion diminished support for Pakistan, made the Maharaja sign the Instrument of Accession and gave India legal cover to possess all of Jammu and Kashmir. In an attempt to display its democratic credentials, India when accepting Hari Singh’s accession, talked of “a reference to people to allow the people of Jammu and Kashmir whether they wanted to join India or Pakistan”, states Snedden. Terming this as a “People’s Plebiscite”, Snedden asserts that it meant and entailed a “direct vote in which all people of Jammu and Kashmir, would decide, by a majority, whether the state would join India or Pakistan”. However, both countries, writes Snedden, in a rare case of unanimity, stood against the idea of independence of Jammu and Kashmir. Soon after, India and Pakistan went to war against each other. However, the United Nations brokered a ceasefire. In military terms, the war was inconclusive but politically, India had won. Post this war, the next significant event, according to Snedden, was the Karachi Agreement in July 1949; this agreement led to demarcation of the ceasefire line in Jammu and Kashmir. The ceasefire line essentially divided the state geographically and militarily into Jammu and Kashmir and Pak Administered Jammu and Kashmir. Following the Shimla Agreement in 1972, the ceasefire line was renamed as the Line of Control. In divided Kashmir, Jawaharlal Nehru’s romance with Sheikh Abdullah came to an end. The Sheikh’s flirtation with the idea of freedom jarred with Nehru and this estranged erstwhile friends and political bedfellows. Nehru, and later on powers that be at the Centre — especially Indira Gandhi — played a game of manipulation and coercion in Kashmir. The Sheikh was singled out and his protégés, like Bakshi Ghulam Mohammed, probably at the behest of Nehru, turned against him. The Sheikh was repeatedly incarcerated and derivative political parties forged. The leaders of these parties effectively strengthened the tenuous links between Kashmir and the Indian Union by gradually but inexorably diluting Kashmir’s special status – especially Article 370. These themes of intrigue, machinations and manipulations continued till after the death of Sheikh Abdullah who ultimately, made an accord with the then Prime Minister of India, Indira Gandhi. The Accord , according to Snedden, “legitimised all political and constitutional measures undertaken in, by or for Jammu and Kashmir between 1953 and 1957. The Sheikh according to Snedden, did this for power and by doing so abrogated and nullified the “Plebiscite Movement”. The state after the Accord witnessed political stability till 1982, the year when Sheikh Addullah died. The scheming, manipulation and coercion started afresh. These climaxed in the year 1987, when elections, under the aegis of the Rajiv–Farooq Accord, were massively rigged. These constituted, what Snedden calls, the final straw for most Kashmiris – especially the younger cohort. From 1988, the Kashmir valley experienced protests of a violent nature; these quickly morphed into what Snedden curiously calls, “an anti India uprising”. This period also witnessed the out migration of Kashmiri Pandits which, according to Snedden, marked a major cultural, social and demographic change to Kashmir. The interregnum between the 1975 accord — a watershed event in the history of Jammu and Kashmir — and the state’s accession to India was filled by attempts at some sort of a mediation which included the “Dixon plan”, a plan that, among other things, entailed a division of Jammu and Kashmir and plebiscite along these lines. While this was acceptable to India, Pakistan negated it. After the Dixon plan, the Indian position hardened and talk of plebiscite withered in India. India, according to Snedden, changed its stance on the basis of “clauses rebus sic stantibus” which means because of a fundamental change of circumstances, a treaty becomes inapplicable. While India argued one thing , Pakistan argued the exact opposite – termed as a typical situation in the unique Kashmir dispute by Snedden. It was in the year 1988 that matters came to a head. That is, the dispute over Kashmir stood militarised: a consequence of the piling of accretions manipulations, coercion, extra legal activities, politics of subterfuge, politics of repression and subterfuge to alter the status of Jammu and Kashmir vis-a-vis the Indian Union, sham and rigged elections, the denial of participatory democracy, and foisting of political favourites of the Centre upon Kashmir, among other things. The insurgency waxed and waned and with it changed the military strategic calculations of Pakistan which, due to the forces of attrition, and an attempt to take control of the insurgency, took recourse to injecting foreign fighters into Kashmir: a strategy seen as low cost by Pakistan. While attempts were made to resolve the dispute which include General Pervez Musharraf’s softening stance and his statement “to think out of box” regarding Kashmir and which led later to a Composite Dialogue between the two arch rivals, nothing significant has happened on the ground, so to speak. On 26 November 2008, India suspended the Composite Dialogue when militants attacked Mumbai. Owing to all these factors, Snedden states that India and Pakistan “enjoy” a predictable but parlous relationship with Jammu and Kashmir central to it. The trust deficit emanating from this makes resolving the dispute over Kashmir difficult. Another factor that militates against the resolution of the dispute, according to Snedden, is the lack of peace constituencies in both India and Pakistan and the absence of visionary and bold leadership. Overlaying these is the near absence of international pressure to resolve the dispute. No nations have any vital and strategic interests in Jammu and Kashmir or any valuable resources. All this lends to fact that the issue is not compelling enough for the international community until the dispute acquires nuclear overtones , like it did during the Kargil war. In terms of Kashmiris’ aspirations, Snedden makes a qualified claim: in a case of “apparent change” many J&K ites now have an increasing desire for independence. Snedden qualifies this assertion by stating that it is well nigh impossible to confirm this perception. He adds that in the 67 years of the dispute over Jammu and Kashmir, the people of Jammu and Kashmir have never been consulted in any meaningful or inclusive way on how the dispute should be resolved. This omission (deliberate) ignores the fact that J &K ites are the “first party” to the dispute simply because the dispute is about them and their homeland, according to Snedden. The professor also throws in snippets of regional security and regional politics into it by way of growing Chinese influence in the region and draws certain scenarios. By way of a conclusion, Snedden alludes to the ever-changing dynamic and fluid nature of history and using the past as a prologue, peers into the future to posit that change in the subcontinent may involve physical contraction or expansion. A “reified” possibility may be the development of a South Asian Federation — an entity that may include Jammu and Kashmir as separate, possibly autonomous, or even an independent entity — a possibility that Snedden suggests may resolve the issue of the state’s international status. Snedden, however, also warns that the dispute may linger on for another 67 years. Alluding to the intractability of the dispute and the possessiveness demonstrated by both India and Pakistan towards Jammu and Kashmir, Snedden closes by drawing a parallel between Emperor Jahangir’s death wish of wanting and desiring “only Kashmir” and the attitudes of India and Pakistan: both countries have a similar wish. The only certainty then, according to the good professor, is that given Kashmir’s prestige and desirability, these attitudes will remain for some time. 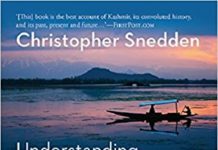 Snedden has written a brilliant account of Kashmir, Kashmiris and the dispute thereof. 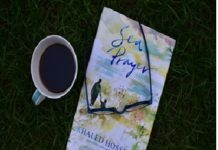 There is hardly anything to find fault with and any critique of the book would amount to a loose quibble. The book, to repeat, is the best account of Kashmir, its convoluted history, and its past, present and future after Joseph Corbell’s account. It, among other things, however, differs from Corbell’s book in terms of academic vigour and detail. Snedden’s book will enrich its readers about Kashmir: its politics, history and present. Having said this, I may “quibble” with the good professor over what may amount to an elision: the curious lack of or omission of sociological and anthropological account or description of Kashmiris. Furthermore, the perspective of political economy is conspicuous by its absence. In terms of political economy, the state’s economy has been “hollowed out”. A deliberate dependency has been cultivated by the state wherein the “culture of subsidies” and a consumption oriented economy eliminates the albeit limited productive and production capacity of the state of Jammu and Kashmir, especially the state’s Centre of Gravity and flashpoint Kashmir. The nature of nationalism in Kashmir and how it has evolved also has been glossed over. Last but not the least, the frame employed by Snedden is very Westphalian. The reference to a SAARC kind of a union does not eliminate this Westphalian frame. The state is a Westphalian construct and is only a few hundred years old: a short duration if a long duree view of history is taken. While nationalism remains a valid but “imagined form” of community, and is in all likelihood to endure perhaps in a mutated form, it is not entirely clear if the state form will endure. I do not have Post Westphalia in mind here. What I do have in mind is the evolution, longevity and form of the state form and the state system. If such an evolution does take place, what then will this bode for Kashmir, India and Pakistan? But, if the time frame and span are of an immediate nature orin the near future, then my hypothesis collapses. Till the day profound structural changes occur in the state system and the state form, Kashmir and Kashmiris will be yoked to an uncertain and fraught future. This day obviously is far off and it also calls for a change in the consciousness and sensibilities of all players in the dispute: something I am more worried and alarmed about given the political drift in India and perhaps in Pakistan too. Rumsfeld’s phrase, “unknown unknown” becomes relevant here but as they say, as long as there is life, there is hope.